HomeWindowsHow to remove Linux installation from dual boot with Windows OS? For Windows OS who want to try Linux without completely removing Windows OS, dual booting Linux along with Windows OS is the best way to experience the best of Linus OS and Windows OS. Dual Booting Linux on Windows OS will let a user choose the OS to use when booting. After trying out Linux OS, if a user wants to remove the Linux OS, it is also easy to do so. 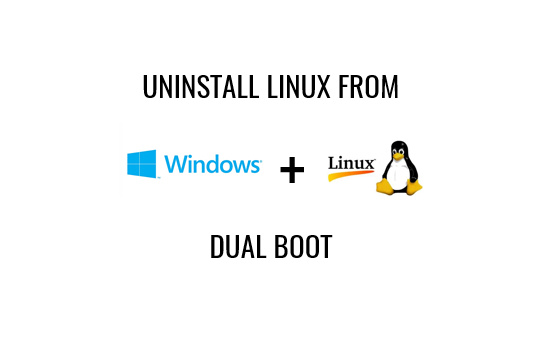 In this post, how to remove Linux installation from dual boot with Windows OS.